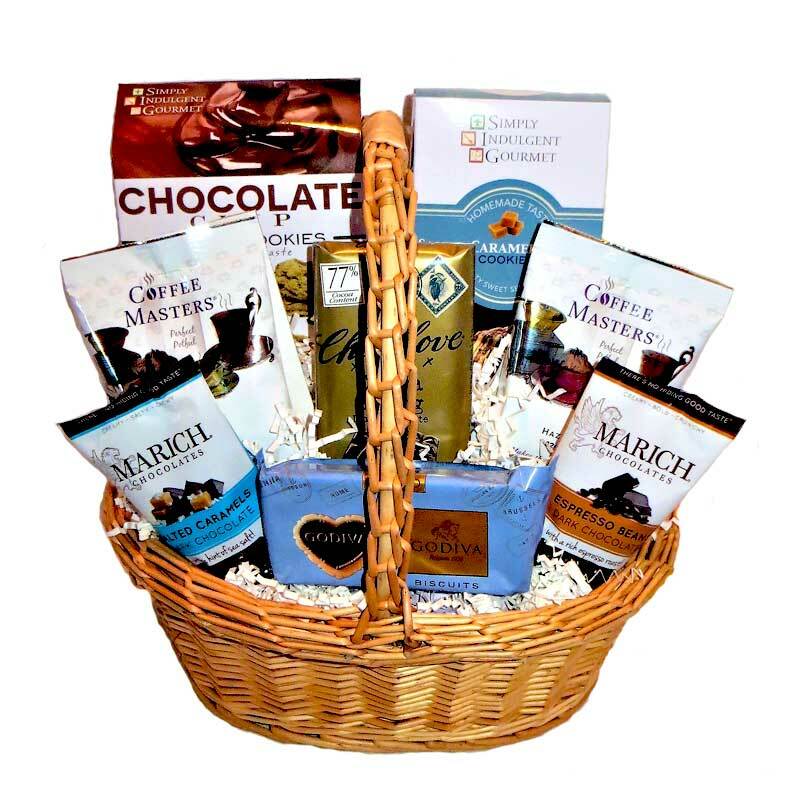 This gourmet gift basket offers a tantalizing combination of savory and sweet treats. 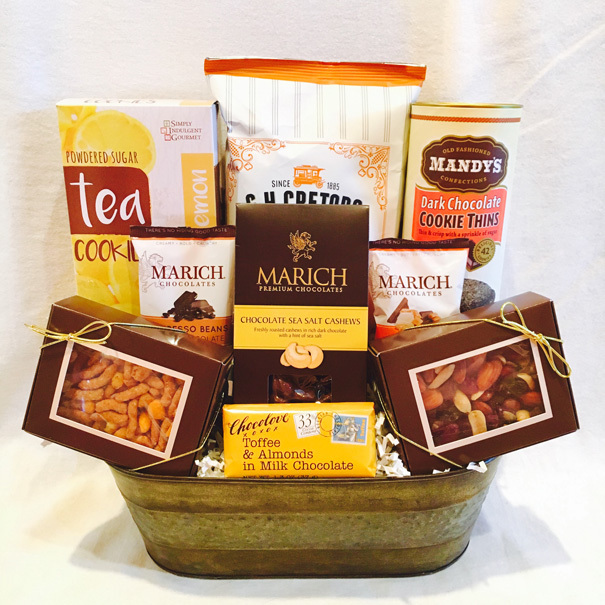 This basket is a perfect gift for celebrating a special occasion or thanking a client. *Note: This item is sensitive to heat and should not be in transit for more than 2 days during summer shipping (May-October).